Let’s just get this out of the way. There’s no way to outsource your job search. Hiring a career coach or a recruiter doesn’t mean they’ll do the work for you. Maybe twenty years ago, there were “headhunters” you could pay to find you a job, but that model didn’t last because of good old supply/demand economics—too many job seekers and too few positions. If you come across someone promising to find you a job, walk away. Fast. That’s not how the job market works and no matter how tempting it might sound, if it sounds too good to be true, it probably is. In the world of recruiting today, recruiters look for candidates who meet the exact requirements of their client companies. They aren’t in the business of finding candidates jobs; they find candidates for open positions available with their clients. To give direction. You don’t know which direction you should head. We can help you identify career options that are well-suited for you. A coach can guide the exploration of how your interests, personality, strengths, needs, values, motivations, skills, prior work experience, and education all fit together. Sure, you can do this on your own. After all, you are the expert on you. But it can be really hard to be objective when the subject is you—and even harder to have a fresh perspective about how your strengths and personality intersect. To ask the right questions. Coaches are trained to ask great questions. What’s so special about great questions that you should pay for it? Because a couple of great questions just might help you get unstuck. They might help you get beyond the annoying “What’s your passion?” question that you’ve been wrestling with since you graduated – fifteen years ago. Find yourself a coach who will push you to think differently about your options, approach, and direction. This isn’t like when your aunt thinks you’d make the perfect attorney because of how passionate you debate topics at the holiday dinner table. Coaches aren’t here to tell you what to do—our main job is to give you clarity about options and directions. To apply your uniqueness to the actual job market. Coaches have a pulse on the job market. They’ve been through hundreds or even thousands of searches with our clients. And guess what? You are unique, so your strategy should be too. Coaching will help you develop a personalized approach so that you’ll make progress quickly and get better results. The abundant, free advice you get from friends, family, colleagues, and mentors can be useful. And overwhelming, frustrating, and sometimes outdated. It’s completely unmotivating to hear “You have to network!” and think “Yeah, but I have no idea what to say or how to do it.” What words to use, how to position yourself, how to approach different types of people—this is what career coaches can help you with. How to be sincere, not cheesy; enthusiastic, not weird. To keep you focused and strong. Looking for a job is like riding a roller coaster, and a coach will support you through the ups and downs. Let’s be real: If looking for a job was easy, people would do it more often. Instead, it’s one of those activities that people tend to avoid until they absolutely must. A coach isn’t a paid cheerleader; instead, we’re there to keep you focused on your goals and keep your perspective balanced. If you’re just starting your job search, and it’s been awhile since you had to enter this mode again, here’s what to expect. To troubleshoot when your search isn’t yielding the results you want. Getting interviews but no offers? What’s happening during the interview? Sending out a ton of applications or resumes and not getting responses? Let’s look at your marketing materials and target jobs. Are you trying to make a career pivot but can’t get any traction? What’s your approach and is it appropriate for your target role? Career coaches see a lot of situations. We’ll help you come up with a unique solution that’s authentic to you. To help you talk about yourself. What’s this? You thought you were the only one who finds it hard to talk about yourself effectively? Nope! Most people need lots of practice to do it well. Sure, you can get a career coach when you’re at the interviewing stage of the job hunt, but why wait until then? Get with a coach when you’re just starting your search and let us help you refine how you tell your story. That way you will stand out while networking and marketing yourself. Knowing which story you’re crafting for yourself can also help you gain focus and momentum while still searching for direction. To provide access to our professional networks. Most career coaches are very connected because they work through referrals, with their networks generating the most business. Career coaches are driven to help others—so they look for ways to connect others. To get you looking great on paper. 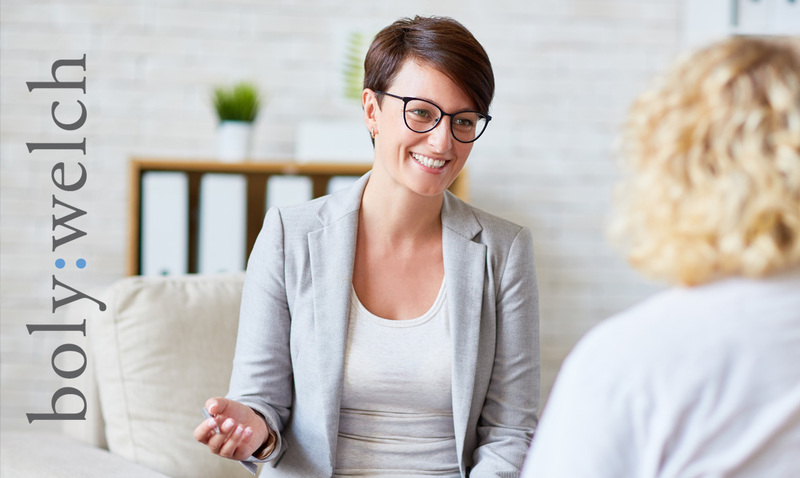 Not all career coaches revise marketing materials, so you might as well work with a career coach first, who will then recommend a resume writer or a LinkedIn profile specialist. If you’re unclear about your career direction or have a “I-can-do-just-about-anything” type of resume, don’t waste your money on a resume writer—yet. Get clear about your direction first. Any resume that is unfocused or designed to cast a wide net won’t be effective. Constant resume revisions deplete your job search mojo and you’ll be frustrated when you don’t get any interviews. Gain clarity with a coach first and you’ll get results. It’s a whole new job search world out there. You can’t outsource your search, but you can get help if and when you need it.